Have you put an inbound marketing plan together? If not, here are ten reasons for you to get started. 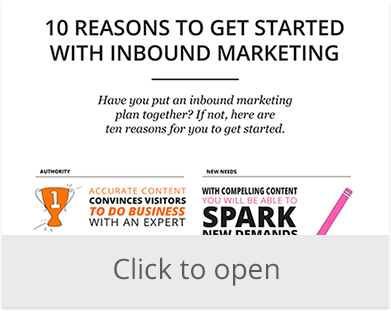 Many of our clients ask for a short summary of the benefits from working with inbound marketing. I therefore wrote a blog post with the key advantages and my colleague Qarin packaged it to a neat infographic. Download it and enjoy! Do you want to find out more about the inbound methodology and how you can evolve your communication?